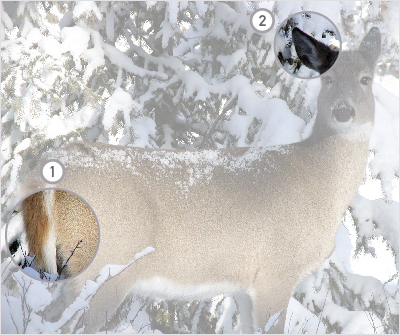 The most common species observation along highways are deer (mule deer or white tailed deer), elk and bighorn sheep. You can learn more about these species here. There are lots of other species you may see on the highway, please refer to Wildlife Roadkill Identification Pocket Guide to learn more. Males have large antlers while females have not antlers.